Christmas traditions: Why do we give gifts at Christmas? Hitting the malls in search of Christmas gifts can be a stressful experience, but there's nothing quite like receiving that perfect, thoughtful gift. Why do we give presents at Christmas? Along with sipping eggnog and lighting up the tree, giving gifts to friends and family is often a cherished part of the Christmas season — but why do we do it? The common explanation is that gifts are given at Christmas to remind those celebrating the holiday of the gifts brought to the baby Jesus to celebrate his birth. For centuries, there has been some form of gift-giving throughout the Advent season, but for most people these were traditionally small, homemade or edible — such as needlework, wooden toys or baked goods — and played nowhere near as big a role as they do in the modern Christmas. In fact, some of the first settlers in North America were highly critical of any kind of Christmas celebrations: the Puritans who settled in the American colonies even outlawed Christmas and the accompanying celebrations between 1659 and 1681. It wasn't until the late 1800s that people began to see Christmas Day as a time to give gifts to children and each other. According to the Virtual Museum of Canada, a website run by the Canadian Museum of History, the common practice since the days of New France had been to give holiday gifts at New Year's Eve. But slowly, "Christmas creep" began to change that tradition: advertisers began suggesting people give a few gifts early on Christmas Day and slowly, people began giving all of their presents at Christmas instead of waiting until New Year's. It just so happened that all of the advertising encouraging gift-giving took place during an era of industrialization, during which urban workers who had moved from the farms for work started purchasing more and more mass-produced, commercial gifts to give to each other. 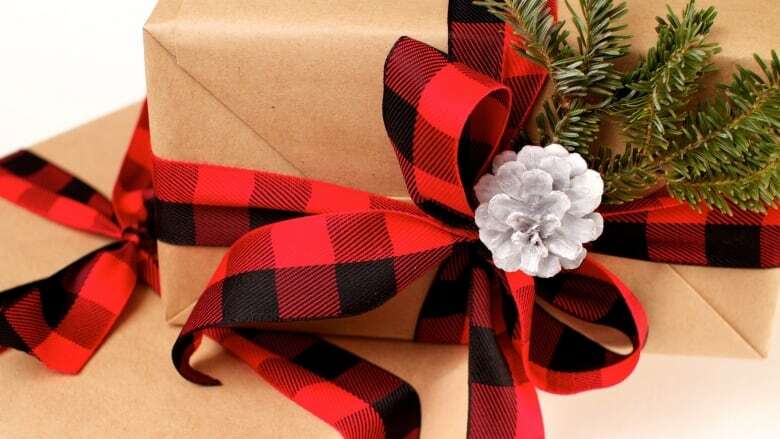 "The prescient among the nation's businessmen saw that they could use the emerging custom of Christmas gift-giving to increase their sales," writes William B. Waitts in his book The Modern Christmas in America: A Cultural History of Gift Giving. "Ever since, they have moved purposefully to expand gift giving in America and have enjoyed the rewards of their effort." The popularization of manufactured items such as bicycles and household appliances also helped feed into this gift-purchasing custom, since such items could not be made at home. By 1920, virtually all the presents exchanged at Christmas were manufactured and purchased and the rest, as they say, is history. Christmas traditions: Why do we put up trees?